“Craving and Relapse,” was filmed in front of a live audience at Cal State University at Long Beach. Based on the time-tested Gorski Model of relapse prevention, this DVD captures all the energy and enthusiasm of the presentation Bob’s been doing in universities, treatment programs, and conferences for over 25 years! Consistent feedback regarding the effectiveness of his style of educating this Gorski influenced relapse prevention information has inspired Bob to create this DVD which is being utilized by nearly 1,000 alcohol and other drug treatment programs nationwide. He takes Gorski’s masterful information and refines it in a way that is especially useful in educating patients in treatment centers on the behaviors which lead alcoholics and addicts into the craving cycle. 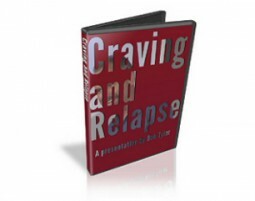 Click the button below to add the Relapse Prevention DVD to your wish list.